I have not gone at least 20 times and I do not know, I am not sure I care. I do think it is interesting to know, the word in the French language is Feminine in gender. Ok, it is somehow the local government office, I somehow knew that in the back of my brain. The Prefecture is my landmark, it the major, place, location of a building most of the Motos - Motorcycle Taxis know. I am in the Auberge, Mandela the Landmark is the Gomido Bar, but you should only say. Gomido. For me to go to the Market, but first stop at my Citron or Lemon Juice stand, I walk out of the Mandela, look lost, a Moto beep, I try to find one that does not beep, I am doing Moto civil disobedience. I want them to stop beeping at me, so I try to find the ones that do not beep. Stand for a second and some Motorcycle stops. 100 to 150 CFA later I am at the office of the Prefecture and I walk down the hill; pay 50 CFA for a cold extra big glass of Lemon Juice, sugar and some water. And for 100-150 CFA, I am back home. I live .73 Kilometers from the Market. This means almost nothing to me. I live about a 10-minute walk, this is important to know. I live 100-150 on a motorcycle taxi ride from the Mandela to the Prefecture or from the Prefecture to the Gomido. 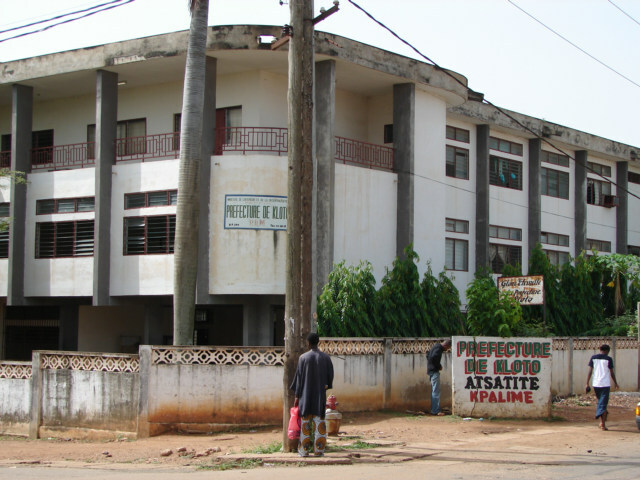 What is a Prefecture, to the Kpalime people it probably where they go to see government people. Maybe it is the place, where they go and pay the fines, taxes, slide money under the table. It is a concept that has a word to use. I look for landmarks to travel too and from, not much point with all the rest, the most tiresome thing in life is to constantly study maps with no landmarks. I live on? what street? I have no idea, in fact, I do not know the name of one street in Kpalime, I have never seen a sign saying the street name. I may live near Fo Nono, whatever that is, or that is what Mawuli tells me, however he intuitively is blind to understanding anything but on and off switches or 0 and 1. Cars need to know gas stations. Ok, when I walk out of a Hotel, I try to find a landmark, a big something every taxi would know, then I grab a business card, walk away and hope I can return in this lifetime. I can say to the Taxi, take me home James, and say the Gomido here, or I can give a Taxi driver a Hotel Business and hope. Reading, can taxi drivers always read? The will call the number sometimes now in the new world of cell phone and ask how to get to the hotel if there is anyone at the phone of my Mom and Pop hotel. But, if I know a well-know landmark, I would already be home. I am looking for a small village and the guidebook and the Encarta map in the computer is not detailed enough, and hard to show a person on my computer a map, the get too obsessed with the computer to help or stay focused and the guidebook is leading me from tourist place to tourist place where there is not really tourist. It is interesting and fun to whip out a map and show locals, they will look at it upside down, sideways and after a long time, they will figure out with the help of a many opinions. Yep, that is Kpalime, most have never seen a good map of the country, and often cannot tell me the names of the very close cities. I use the map with a guy or girl wearing glasses.